﻿This product uses men's sizing. The IconX Pant was was engineered for versatility in both functional fitness and as casual wear with a relaxed fit. Features include two side pockets with internal mesh lining as well as a side welded pocket for media and accessory storage. Designed with an elastic 2 inch external drawstring and reflective accents. The BIOCERAMIC fabric delivers lightweight and breathable comfort. 0-4 | XS 25-27" 35-37" 19-21"
4-6 | S 28-29" 28-39" 22-23"
6-8 | M 30-31" 40-41" 24-25"
8-10 | L 32-33" 42-43" 26-27"
10-12 | XL 34-35" 44-45" 28-29"
So comfy! I don’t want to take them off! This is my first virus purchase and i’m so happy I chose these joggers. 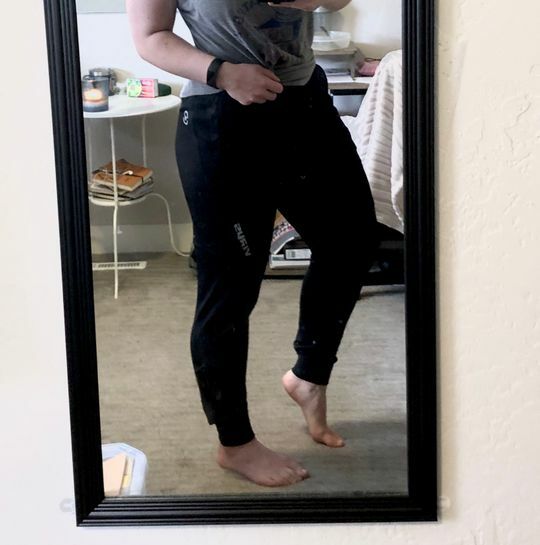 They are super comfortable and fit great. I’m 5ft 2in so the legs are little longer and bunch at the bottom but that doesn’t bother me. Wore these on leg day they were great. Super stretchy and didn’t restrict me when squatting. Price is a little high for my liking but never the less they are great quality and I will probably purchase another. I am 5’4, 135 lbs, my thighs Are 21’ around, hips are 32 and natural waist 25. I ordered a small at first and they were WAY too large in the hip area ( so I returned and got the XS) These pants fit perfectly if I fold down the top band. My only complaint is that they are only available in an xs in blue! Love the confort it provides and flexibility! Warm! By too thin just perfect! I am a PE teacher, high school strength and conditioning coach and I have been doing CrossFit for 8 years. I wanted pants that I could wear during all 3 and I found them! 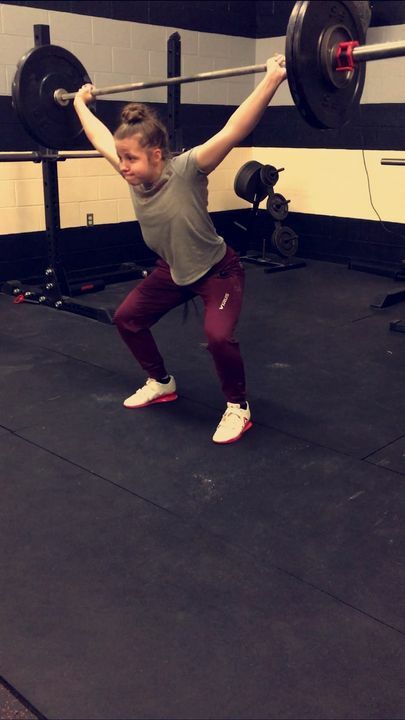 These pants look professional enough for teaching PE and comfortable enough to wear to CrossFit. 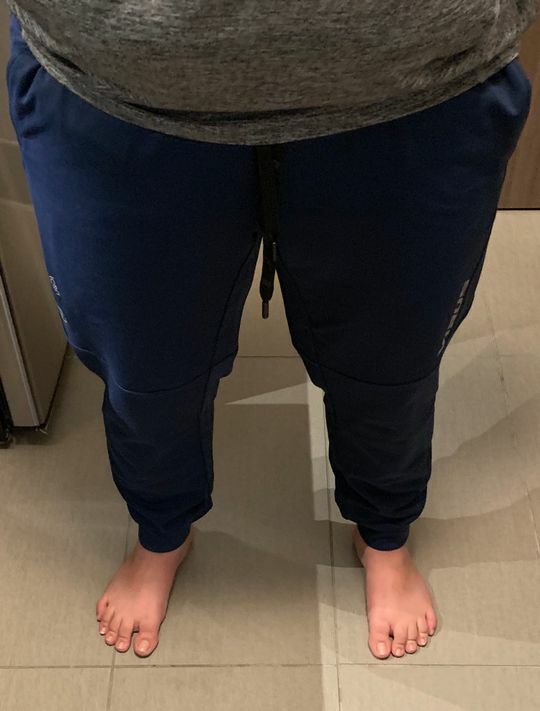 I am short (5'3'') so normally finding joggers that don't look sloppy or baggy is hard for me. I weigh 125lbs and being short I ordered an XS and they are perfect. I have only washed them once and I air dried them after reading reviews about possible pilling to the material.